This contemporary clay figurative sculpture was inspired by what a tourist might see when looking up with excitement and wonder. As a center piece on your dining or coffee table, or placed on a pedestal inside your entry, "The Tourist" will delight your guests or clients as they are welcomed into your home, office or place of business. 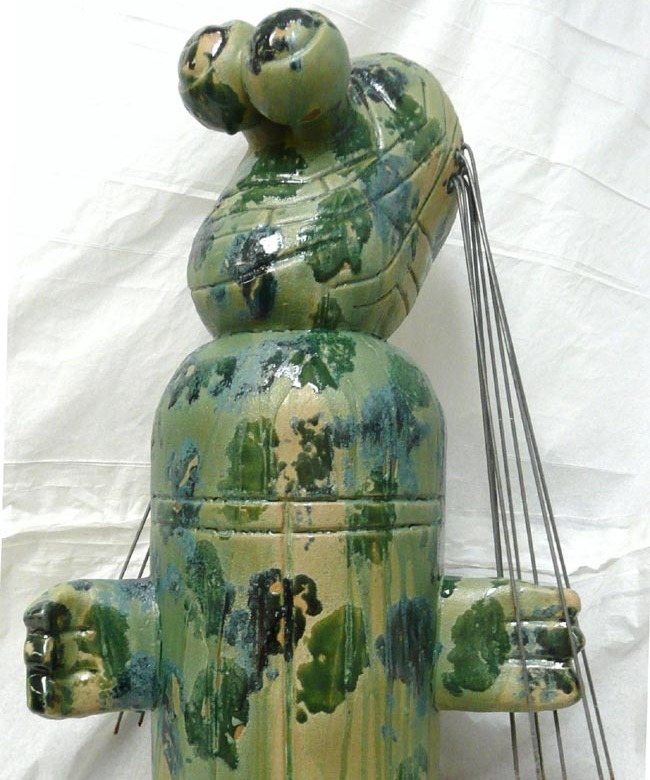 Made of high fired stoneware clay with three handcrafted personally developed glazes. This piece was created from wheel thown parts, constructed together, altered and finished with steel. Ceramic and Steel 27" X 14" X 6 ? "